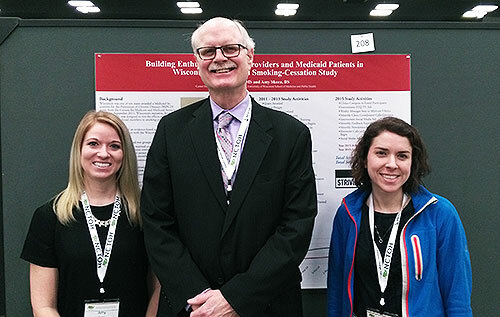 UW-CTRI Regional Outreach Specialists Amy Skora, Roger Dier, and Allison Gorrilla present research at a public health conference. Want free training or technical assistance to help your patients quit smoking? Find your outreach specialist by clicking here.